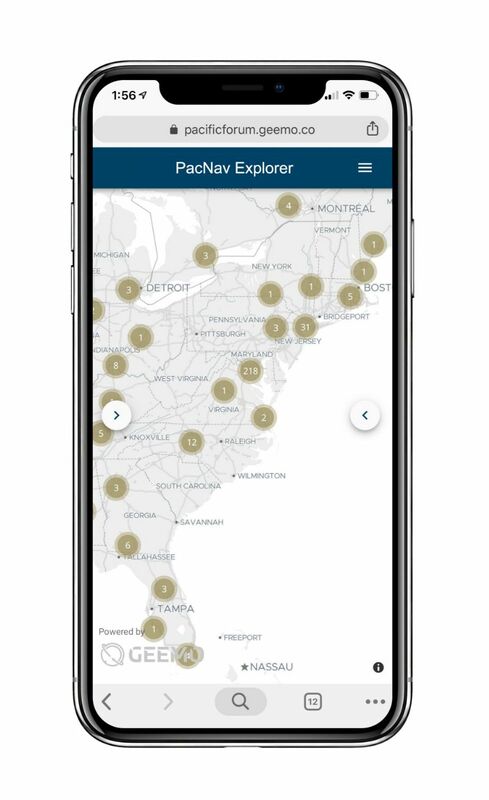 Increase your impact with PacNav Explorer. 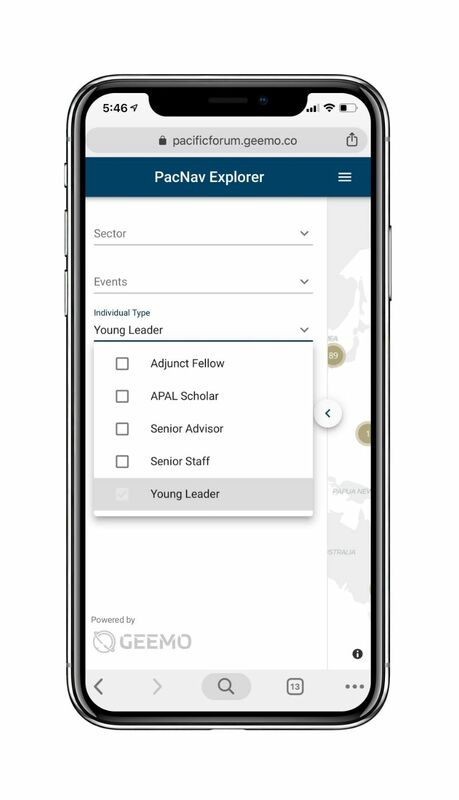 with 1,200+ Young Leaders, Pacific Forum staff, adjunct fellows, and senior advisers in 60+ countries around the world. on ideas, research, publications, events, career advancement, and more. mindsets, policies, communities, and shape the future with your ideas. 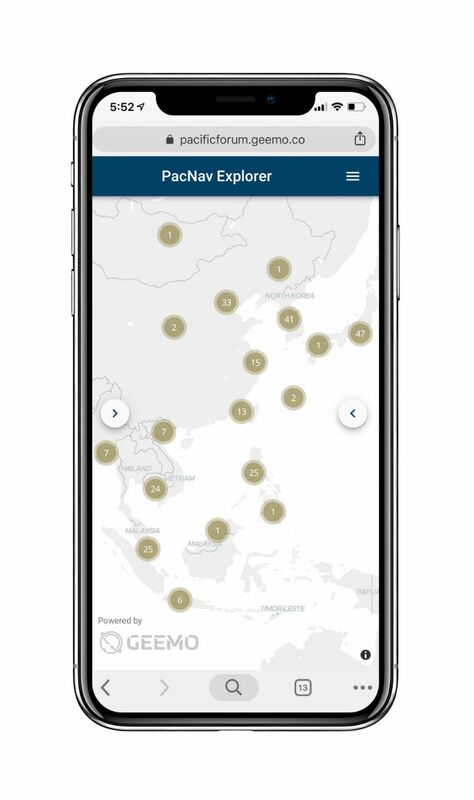 Who can access PacNav Explorer? 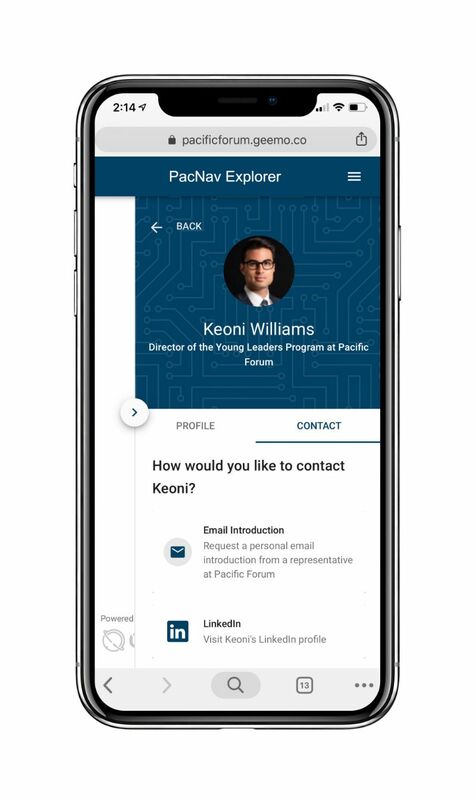 Pacific Forum staff, adjunct fellows, resident and non-resident fellows, senior advisers, APAL Scholars, Young Leaders and alumni, and individuals who formerly held those affiliations. There is no catch. Connecting people to each other, ideas, and action helps us achieve our mission of contributing to peace and stability in the Indo-Pacific region.